In the world of interior design, often times corners don’t get as much attention, especially in larger homes, where kitchens, bedrooms and living rooms usually take center stage. 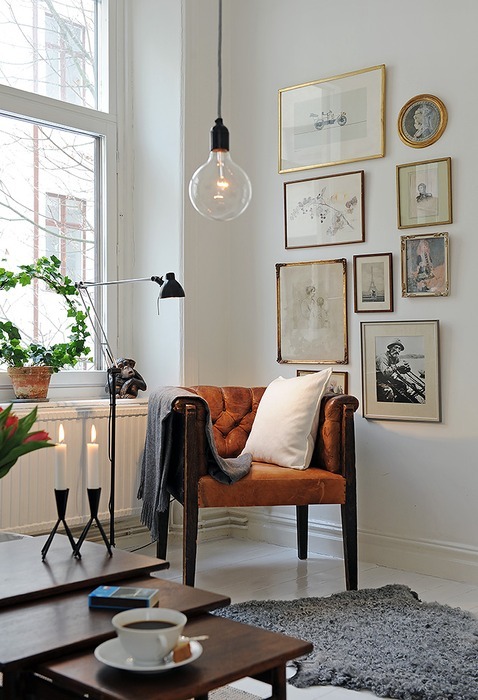 However, with a few key elements and pieces, a quiet corner can easily turn into a cozy nook, one where you just might end up spending much of your time. 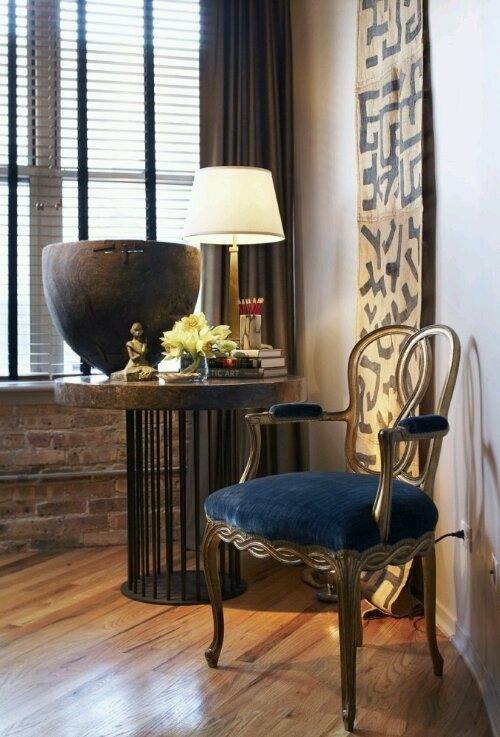 Design by Emily Followill. Photo via Aesthetically Thinking. 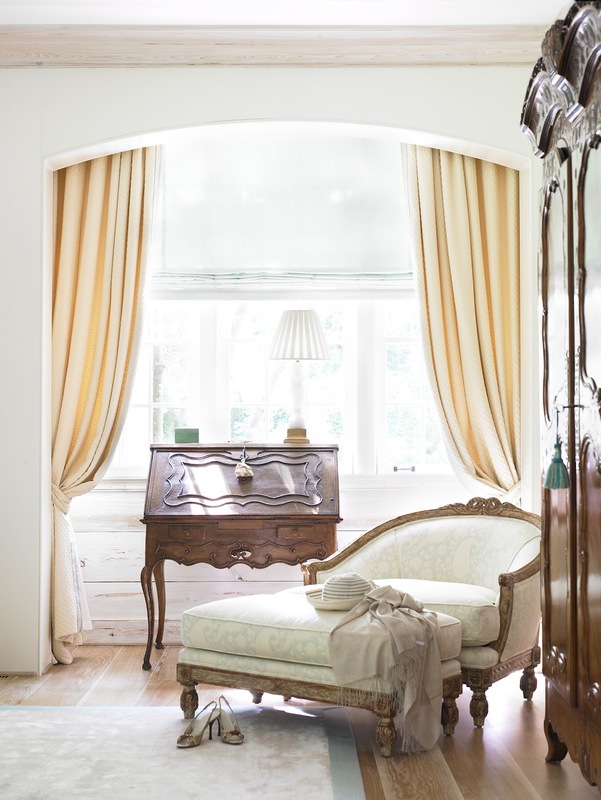 For a bedroom corner, combining an occasional chair and ottoman along with a luxury armoire and charming secretaire can make for a tranquil and inviting place to relax at the end of the day. 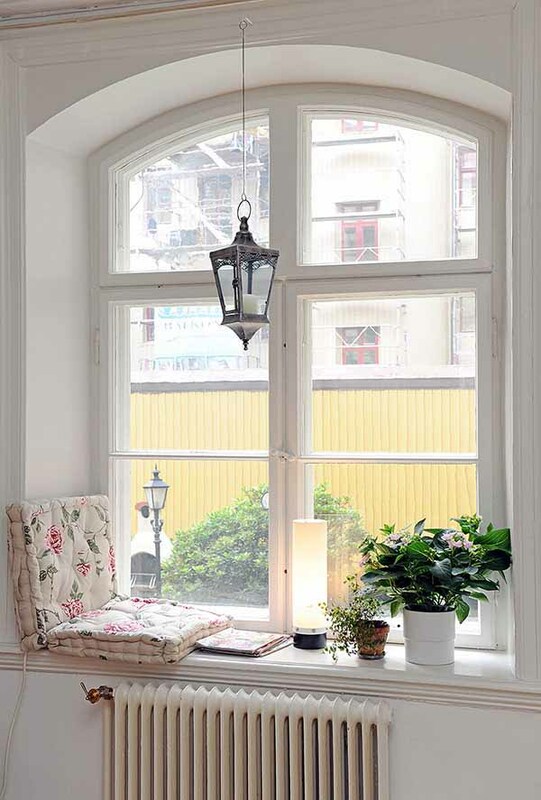 A quiet corner in a living room can be an ideal setting for a desk, especially if you have windows nearby to allow direct sunlight for writing or reading. 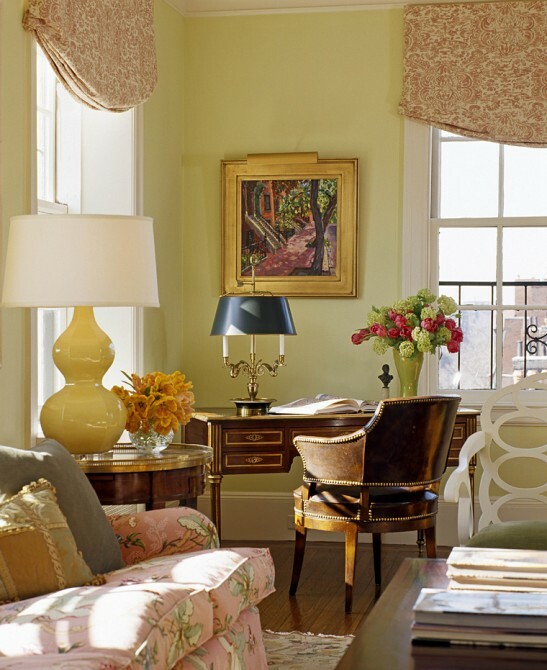 The gorgeous traditional desk above sits perfectly in its nook, with just a floral arrangement and table lamp as decor. 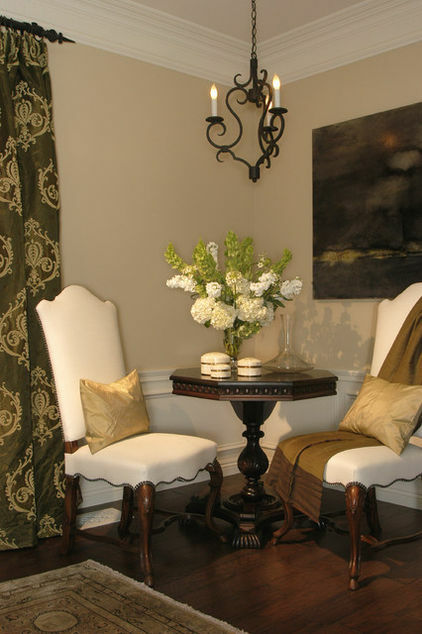 This arrangement wonderfully compliments the traditional end table, sofa and coffee table surrounding this quaint corner. A beautiful wooden occasional table between two graceful side chairs sets the perfect scene for a quiet conversation with a guest. The smaller table setting allows for more intimate conversations, and the table provides just enough room for tea and snacks. And if it isn’t already obvious, we’re a sucker for a lovely floral arrangement when decorating. And this case is no exception – it always makes any space instantly more inviting. 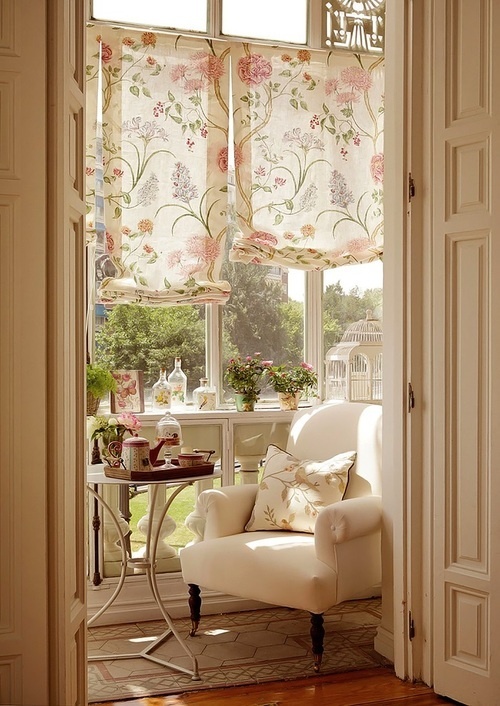 If a little quiet time alone is what you seek, creating a cozy seating area beside a window can be just what the doctor ordered. A simple, comfy cushion may be all that you need, along with enough lighting for reading. If space allows, however, a delightful and luxurious accent chair paired with an accent rug makes for a charming little escape within the home. A few high-end furniture brands that carry elegant accent chairs include Henredon, Century Furniture, and Savannah Collections. Photo via Elements at Home. Carving out a little creative time during the day can prove challenging with so many modern-day distractions. 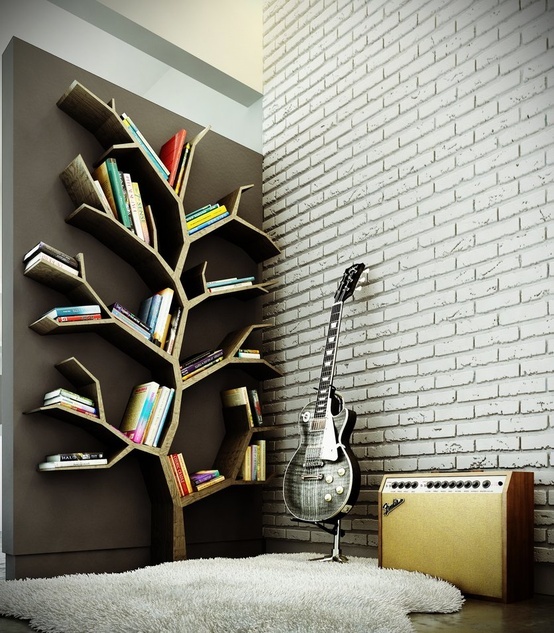 However, designating a special corner for just this purpose may prove beneficial to get the creative juices flowing. The simple area above has an enchanting tree branch shelving and a fluffy-soft accent rug to offset the cooler brick wall backdrop.